Finding a little girl's diary in their new home, a young couple investigate what happened to the child. The plot twists are predictable but nevertheless enjoyable. Restoration is one of those horror films where it’s not the ghosts that you want to watch out for, which is a nice change from the classic vengeful ghost story. 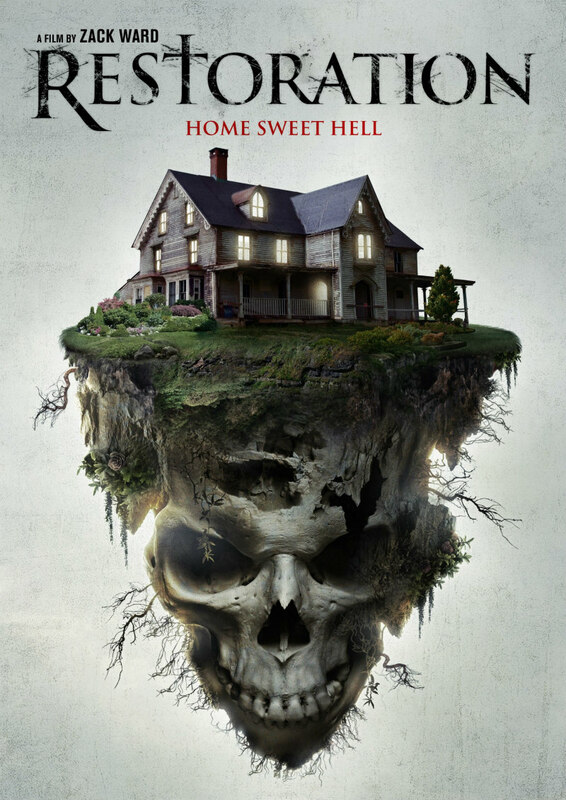 Restoration is the first feature length film from actor turned director Zack Ward (Transformers, Resident Evil: Apocalypse), who shares writing credits with established indie horror director James Cullen Bressack (Pernicious, Hate Crime). It's a classic haunted house story; a couple move in to a new neighbourhood for a fresh start but are stopped in their tracks by the gruesome history of their new house. Doctor Rebecca (Emily O’Brien) and husband Todd (Adrian Gaeta) move in to their new home and have big plans for renovation. While knocking down one of the walls in the house, Todd finds an old looking teddy bear. Within that teddy bear is a little girl’s diary and within that diary we have our basis for the horror story. Together, Rebecca and Todd try and figure out what happened to Katherine, the little girl whose diary it is, before it’s too late. The film is nothing original, it includes all the tropes of any other haunted house film: mysterious neighbours, mental asylums and strange noises. This being said, it’s written and directed rather well, considering the low budget from a first time director. The first thing I noticed that was special about this film was the acting from the main characters, I really believed their relationship and they had tremendous chemistry, which only added to the genuineness. There is a slow build up and the film relies heavily on atmospheric tension rather than action and special effects. Sometimes the film loses its horror touch and becomes more of a love story because of this slow build up, but the last half hour of the film more than makes up for this. The small amount of special effects is handled tastefully, considering the scale of the film. Perhaps a more foreboding score, to create more mystery and suspense, would have done the film some good, as the music in the film is a little lacklustre. The plot twists are predictable but nevertheless enjoyable. Restoration is one of those horror films where it’s not the ghosts that you want to watch out for, which is a nice change from the classic vengeful ghost story. No, it’s nothing special but it’s brought together by a coherent narrative and a strong cast, which only get better as the film progresses.